Life is constantly changing and sometimes, child custody, visitation, child support and spousal support arrangements need to change as well. To make a change, we need to show that major changes in circumstances have occurred. Have you lost your job? We may need to take a look at your child support and/or alimony and recalculate the monthly amounts. Are you remarried? Let’s look at the child custody and visitation agreement. Does your 14+ year old child want to stay with one parent more than the other in order to have a more structured life? Do you need to move to another state? We can talk about your goals and help you take the steps necessary to achieve your goals. 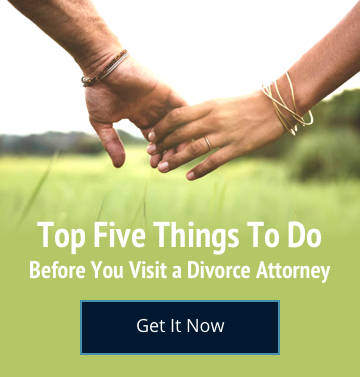 Post-Judgment Modification issues also arise when your former spouse isn’t complying with the terms of the divorce judgement. Our attorneys will discuss how these problems can best be resolved. The Steinberg Law Group is here to help you navigate your changing needs. Contact us today! Over the years, the Steinberg Law Group has helped many people who have made serious mistakes by relying on false representations by the opposing party or his/her attorney. These representations need to be false or the party wanting to correct what is perceived a “raw deal” needs to be able to prove a mistake, surprise, inadvertence, or excusable neglect within a six (6) month period pursuant to NRCP 60(b). It is best to describe some typical examples. Example 1: Mom goes out of state to family or a boyfriend and leaves the children with Dad. Dad files for divorce and for primary physical custody of the children. Mom returns to Nevada three (3) months later and finds out that Dad had filed for divorce and obtained a divorce and she was never even served. Dad obtains primary physical custody of the children and all community assets including the marital residence. Mom obtains a consultation and is told that she must file for NRCP 60(b) relief within the next three (3) months or she will need to live with this terrible outcome. Example 2: Dad files for custody. Mom is out of work and has no income. Dad tells Mom not to contest custody and he will have primary physical custody, will allow Mom to see the children whenever she wants, and Mom will not need to pay any child support Mom allows Dad to have primary physical custody. Later, Mom gets a job and moves in with her boyfriend. Dad denies Mom’s visitation and files for child support. Five months have elapsed and Mom obtains a consultation. Attorney recommends that she file to set aside the custody action with the next month as an NRCP 60(b) action must usually be filed within six months. Example 3: Dad is down on his luck due to debt accrued during the marriage. Mom retains an attorney and tells Dad that her attorney will draft the documents. Mom assures Dad that he is getting a good deal and that the child support and alimony are all fair. Dad believes Mom but after the divorce is entered realizes that he gave up everything and now cannot financially survive. Four months later, Dad obtains a consultation and the attorney tells Dad to file for NRCP 60(b) relief as Dad will never recover financially otherwise as he had been “duped” by his wife and her attorney who was not acting in Dad’s interest. In all three of these examples, an experienced attorney is necessary. These actions are complex and if relief is not granted, then there may not be any other possible relief since the time to appeal has already passed. Attempting this type of action yourself or with a new or inexpensive attorney might not be a good idea if the necessary relief makes all the difference in the world.